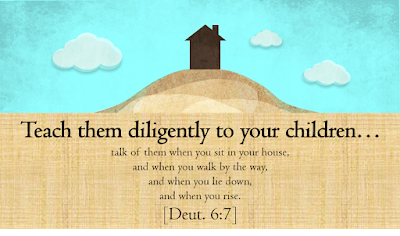 Deuteronomy 6:7 tells parents (and grandparents) that we should be diligently teaching our kids godly principles during four specific times of the day: “when you sit in your house, and when you walk by the way, and when you lie down, and when you rise.” Let’s talk about that third time: “When you lie down”. 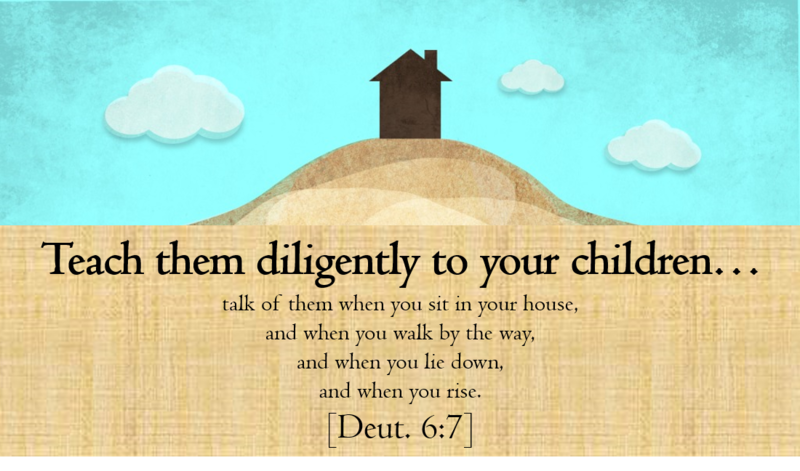 Don’t waste your evenings with your children and never miss an opportunity to instill Christian values in them! Here are some suggestions on how to not waste bedtime. Take them to bed, don’t send them to bed. If you send them to bed, you might miss an awesome opportunity to disciple them or have a real special conversation. Instead, TAKE them, tuck them in, and have a quick conversation. Even if you only have 30 seconds, use this time to tell your son or daughter that you love them, or pray for them briefly, and make sure they are ok.
Talk about the day. Children and teens are particularly open and talkative at night, especially right before bed. Ask about their day. What was the best part of the day? The worst? What made them happy today? Sad? Lonely? Excited? This is your perfect opener to have a meaningful chat with them. Maybe your son got upset because another kid took his toy; now talk about your personal stance on retaliation or sharing. Maybe your daughter is lonely because the boy she likes was talking with another girl; now’s your chance to talk about male-female relationships or dating. Share stories from your own childhood and adolescence so they know all youth go through the things they are going through. If you can get your kids to open up to you (and bedtime is your best shot) they will give you an open floor for a quick life lesson at the time it is most needed. Say a blessing over them. For the last several months I’ve been quoting Numbers 6:24-26 to my kids almost every night after they are tucked in bed, which reads “May the Lord bless you and keep you, may the Lord make his face shine upon you and be gracious to you, may the Lord turn his face towards you and give you peace”. My son has just started asking me “Dad, can you bless me?” Smaller kids will enjoy this. If you have older kids, choose a shorter verse or portion of a verse, and just quote it while you put your hand on their head or shoulder. Pray with them. Bedtime is the best time to pray with your kids. For some specific direction on this, check out my other three articles on “Praying with your Kids”. If you play a stringed instrument, play them a song. I play guitar and my kids LOVE it when I sing with them right before bed. Lately I’ve been doing Shane and Shane’s Psalm 23 song, and they have already started memorizing it. I love the idea of my kids falling asleep with the words to Psalm 23 stuck in their heads. Even if you only have 60 seconds, to spare, spend that time discipling and sharing God’s love to your children. Do you have other bedtime routines to disciple your kids? Share yours in the comment box below.